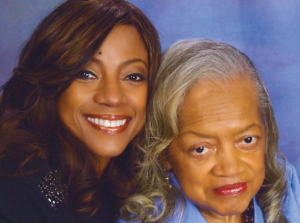 “Remembering the Good Times: A Caregiver’s Journey,” by Bern Nadette Stanis, best known as Thelma Evans from the hit television show Good Times and Alzheimer’s Association National Spokesperson. Bern Nadette Stanis is not only a talented actress but also a prolific writer. Her most recent work, The Last Night: A Caregiver’s Journey, profiles the walk of a loving daughter with a beloved mother diagnosed with Alzheimer’s. It was created to inspire caregivers all around the world. Her presentation will explore the importance of remembering the lives of those who are suffering from this awful disease and embracing the caregivers who are by their sides. Pfeiffer, E. (2015). Caregiving in Alzheimer’s and other dementias.New Haven: Yale University Press. Santulli, R. B. (2011). The Alzheimer’s family: Helping caregivers cope. New York: W.W. Norton. Ali, N. (2012). Understanding Alzheimer’s: An introduction for patients and caregivers. Lanham, MD: Rowman & Littlefield Publishers. And we have several documentary films on Alzheimer’s caregiving you can stream from our Kanopy film database – click here to see more. Interested in gerontology/aging research? Check out the Library’s Gerontology Research Guide or contact the Gerontology Librarian. This entry was posted in Books, Databases, For Faculty, For Graduate Students, For Students, Gerontology, Videos. Bookmark the permalink.